West Virginia law states that every person has the right to be safe and secure in his or her home. You and your family are entitled to live a life free of domestic violence and fear. Since 1952, Angotti & Straface Attorneys at Law L.C. in Morgantown have been protecting domestic violence victims in Monongalia County by taking legal action against those who would violate your basic human rights. You do not have to live in fear. Learn more about how to stay safe while planning your escape and contact our office as soon as possible to secure the experienced legal assistance necessary to help you and your children. What is Domestic Abuse or Violence? 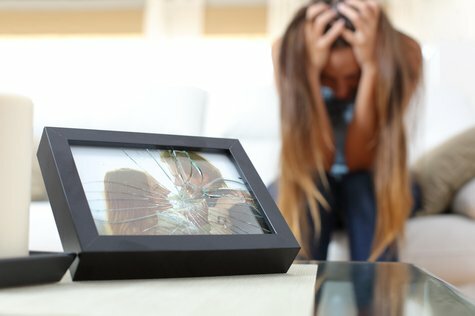 Victim of Sexual, Physical, or Emotional Domestic Abuse? As a victim of domestic abuse, you may feel like your situation is hopeless. In many cases, those who are physically, emotionally, or sexually abused or controlled falsely believe that things will get better. Unfortunately, things do not tend to get better because abusive perpetrators of domestic violence do not change over the long term. Know the signs. Know your worth. Let us help you escape. Contact Angotti & Straface for assistance filing for and obtaining an order to help legally shield you and your children from the perpetrator as part of your comprehensive plan to escape the dangerous situation that you are living in. We offer personalized, compassionate assistance to help our clients successfully obtain domestic violence protective orders, as well as emergency orders. Call for a free confidential consultation to discuss your case: (304) 292-4381. We are available 24/7.